Rendering a bill for the products bought is a norm that is followed by all organizations irrespective of their size or nature of their business. Thus a bill of sale is an important part of all organizations. 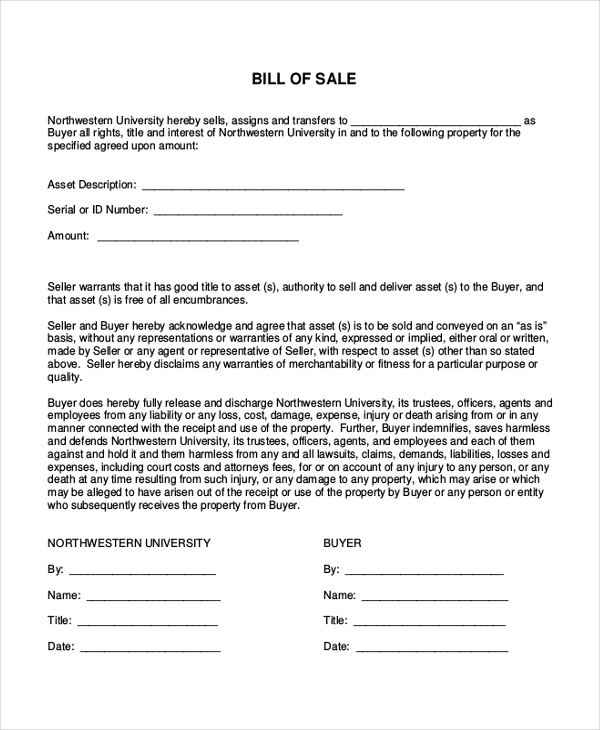 Using a generic bill of sale form can help the firms to design a unique bill for themselves. They can alter the format and the design of these Bill of Sales Forms as per their needs and then add personal information to personalize the form. This is a standard design of a bill of sale form and gives the user an idea of the format to follow when designing a bill for his company. This form contains all the crucial segments and can be used by anyone. Vehicle showrooms and automobile dealers can take a cue from this bill which gives an idea of the standard format of a vehicle bill of sale. It contains the segments that allow the dealer to elaborate on the properties of the vehicle. 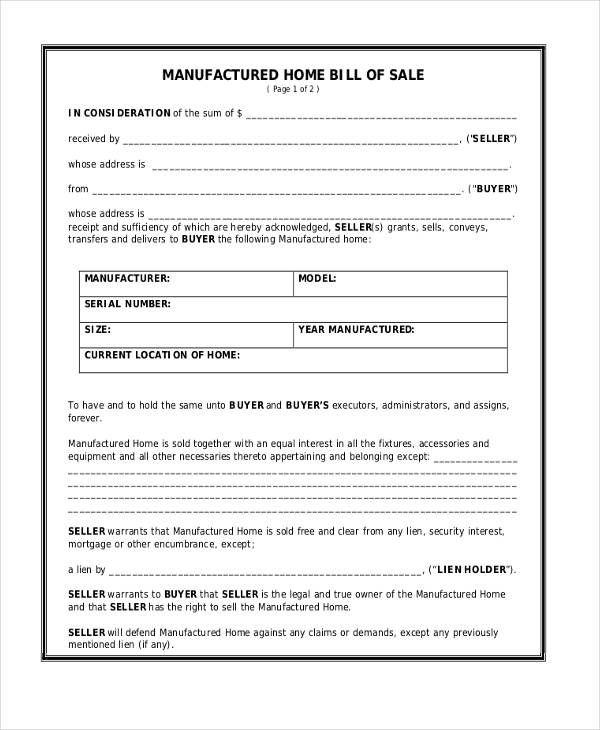 You may also see Sample Bill of Sale Forms. 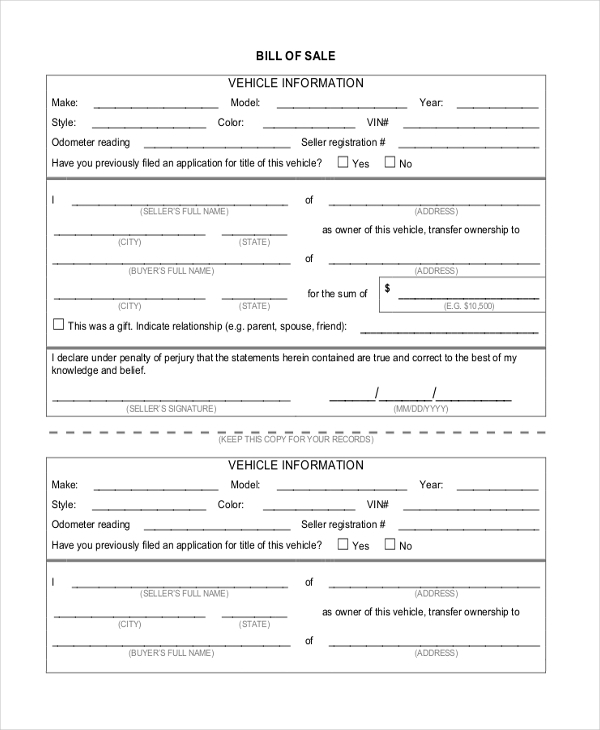 This form comes in handy for dealers who are into the sale of cars as well as for car showrooms. These have been specially designed for the purpose and ensure that there are special subheads to fill in the details of the car. 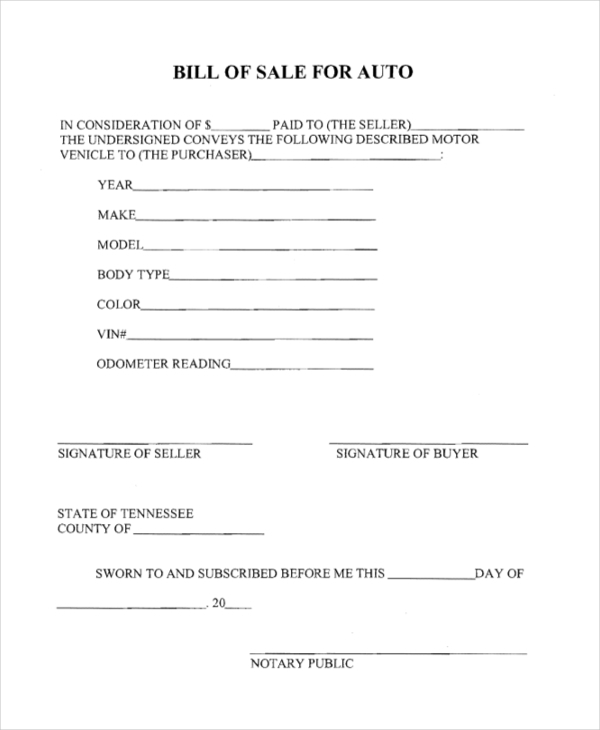 You can also see Car Bill of Sale Forms. Automobile dealers can design the bill of sale for their showroom by taking some cue from this generic form. It gives them an idea of the format to follow and the segments to be included. This form follows the standard format of a bill of sale that is universally acceptable. The form is available in a PDF format and hence can be used by anyone as it is compatible with all devices. This print ready form can be used by anyone irrespective of his or her nature of business. The user can alter the format of the form or the segments to meet the requirements. This is a print ready form and save a lot of time. 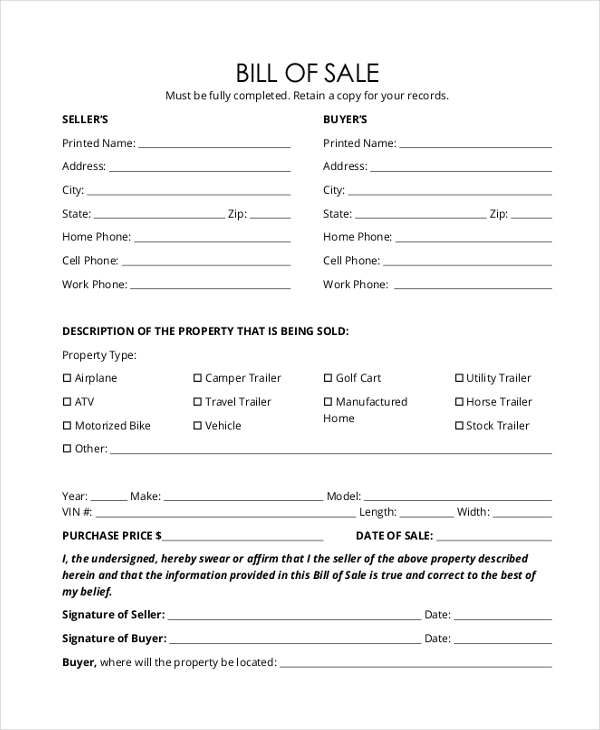 You may also see Bill of Sale in PDF. 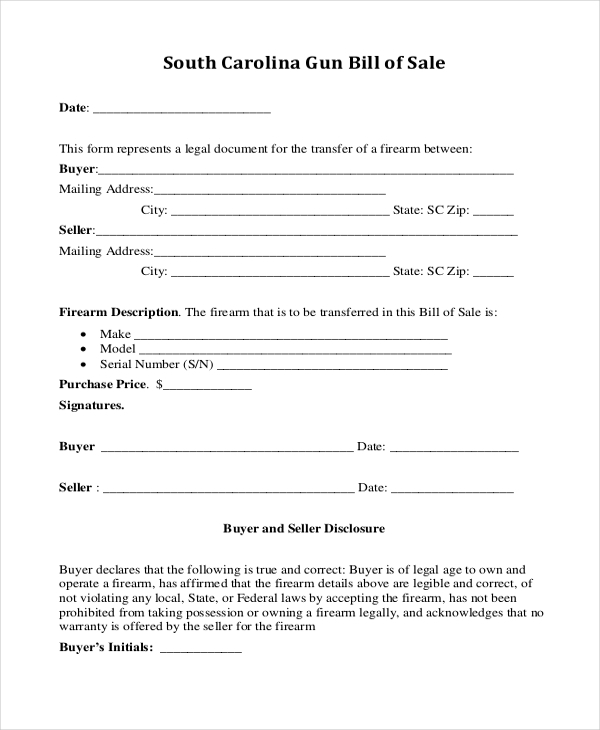 As the name suggests, this generic bill of sale can be given by a gun dealer an idea about the format that he should follow to design a bill of sale for his shop. He can however make changes to the format if needed. You can also Free Bill of Sale. 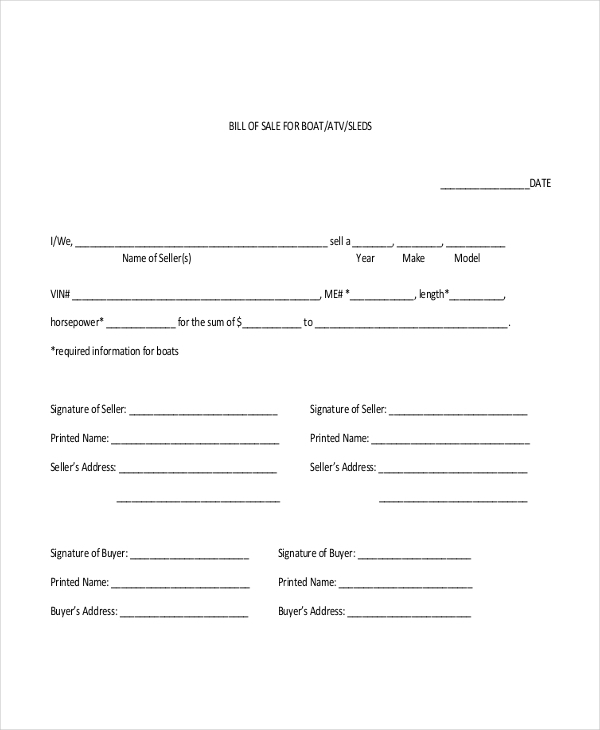 Construction contractors can use this form to design a unique bill of sale for their company. In this bill, the contractor can include subheads to define the various properties of the home like its location, total area, amount payable etc. 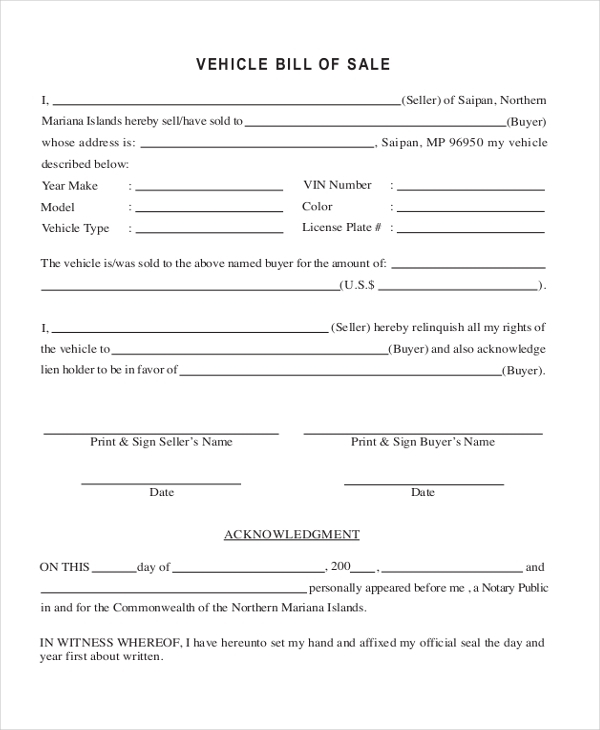 A person who might be involved in the selling of boats can make use of this form to understand the format he needs to follow to design a bill of sale for his showroom. 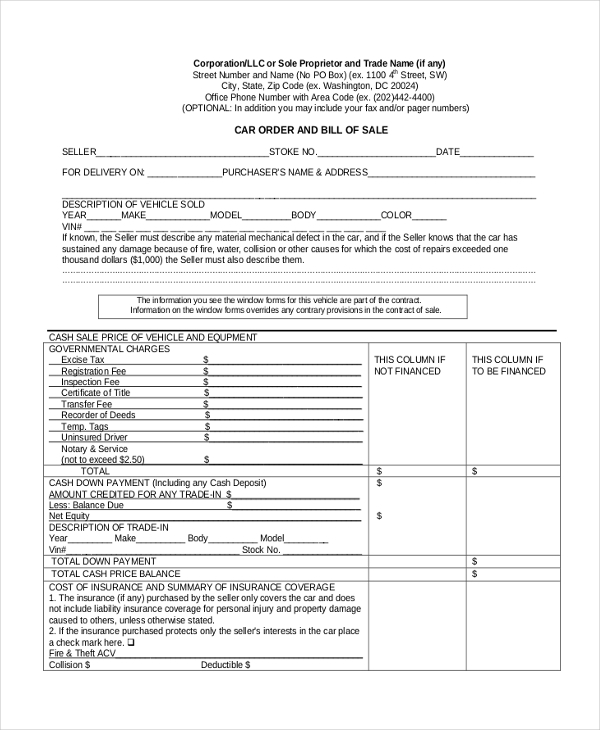 A person dealing in motorcycles can use this form to design a bill of sale for his showroom. This form comprises of the various segments that help in defining the specifications of a motorcycle. You may also see Sample DMV Bill of Sale Forms. How to Format a Generic Bill of Sale? Need some help in designing a bill of sale for your organization? We have a vast collection of blank bill of sale forms with us. Browse through these to find one that will be apt for you. Download this and customize it as per your requirement.